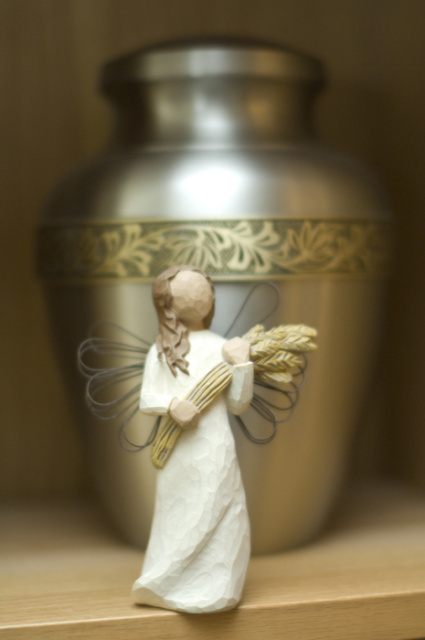 Urns made from wood, metal or stone are available in a variety of shapes, and both full size and a smaller keepsake size. 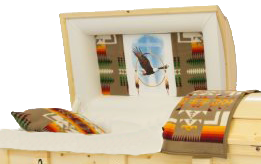 Caskets are for sale to families who live outside of Yellowknife to order for their loved ones. 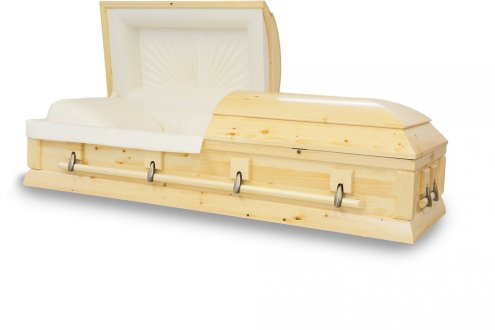 Janice will arrange for shipment on your airline of choice. Newly acquired! Select wood with Harvest Satin Finish, Swing bar handles, and Apollo white interior. 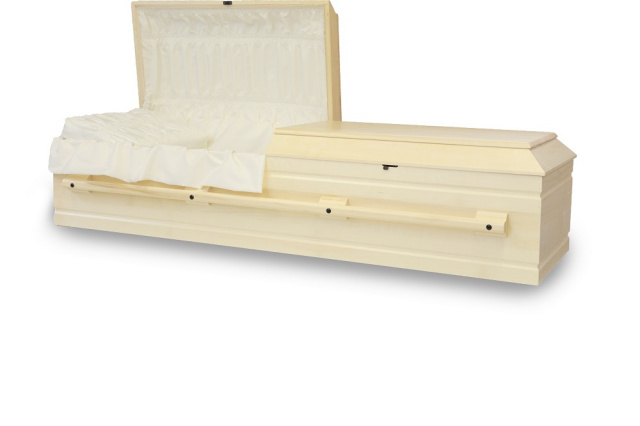 Solid aspen construction, natural satin finish with wood bar handles and eggshell interior. 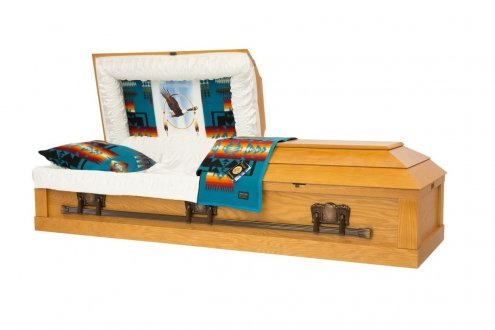 Veneered flat top, rustic finish with dark bronze hardware and authentic Pendleton, Chief Joseph pattern interior in blue. NEW! 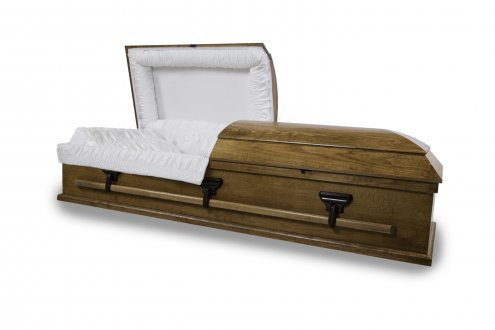 Solid Canadian pine, with a natural lustre, tan crepe interior and adjustable bed. Made in Canada. 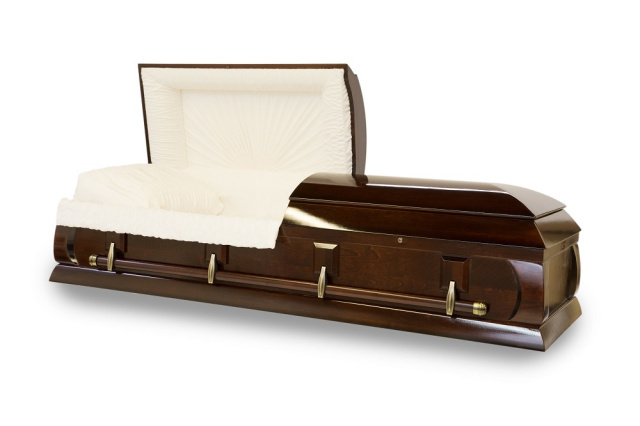 Poplar construction, piano mahogany gloss finish, wood handles accented by bronze hardware, tan crepe interior. Canadian ash construction, medium satin finish, swell top, wood bar handle with brass colored hardware, tan crepe interior. Flat top Canadian ash, medium satin finish, white silk interior, dark bronze swing bar handle.